Inside view: baubles, Bangle and? | What Car? Inside view: baubles, Bangle and? 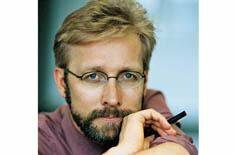 You may never have heard of Chris Bangle, especially if your interest in cars begins only when they hit the showroom. You'll know his work, though, and the chances are you won't like some of it. He has how can we put this? been provocative. This is the bloke that revealed a cloth-skinned concept car called Gina last year. Bangle has just announced his resignation as design director of the BMW Group, which includes Mini and Rolls-Royce, and where he has worked for the past 17 years. During that time, BMW has gone from a company effectively producing a single car in small, medium and large sizes (3, 5 and 7 Series) to one that has carved niches out of niches. The 5 Series Gran Turismo, which is about to go on show at Geneva in concept form and is destined for production later this year, is a perfect example. It's the car tapas a bit of something for everyone. It was the late 1990s 7 Series and many of the cars that followed it the current 5 Series, the 1 Series family, the X3 and Z4 that earned Bangle his reputation for controversy, and had some people reaching for a sick-bag. 'I took some **** over those cars,' admits Bangle, an American who is one of the motor industry's most engaging, effusive and articulate designers. Hes one of the most patient, too: he'll take time to explain his thinking to even his staunchest critic and why he was right. What those critics cannot fail to acknowledge is the influence he has had on the look of modern cars, and how we use them. Without Bangle's BMWs, do you really think Audi would have been slapping grilles like horse collars on the front of its cars, or that Mercedes would have stepped as far out of its comfort zone as it did with the CLS? Would central control systems be almost commonplace, even on superminis? Bangle's iDrive on the previous 7 Series started all that, and though it was initially unworkable, the flaws lay in the execution, not the idea. He departs at the end of this month, and he'll be missed. For such a chatty character, he's reluctant to say what he plans next, though there'll be a bit of promotional work with the 5 Series Gran Turismo in the build-up to its launch. After that, his future is likely to lie back home in America, and more specifically in California, he hints.